I haven't done one of these in a while. 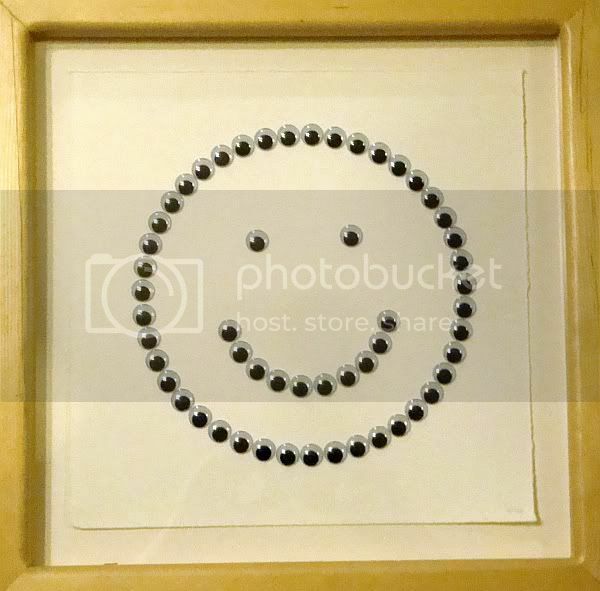 But I got a couple of pieces of art worth celebrating recently. 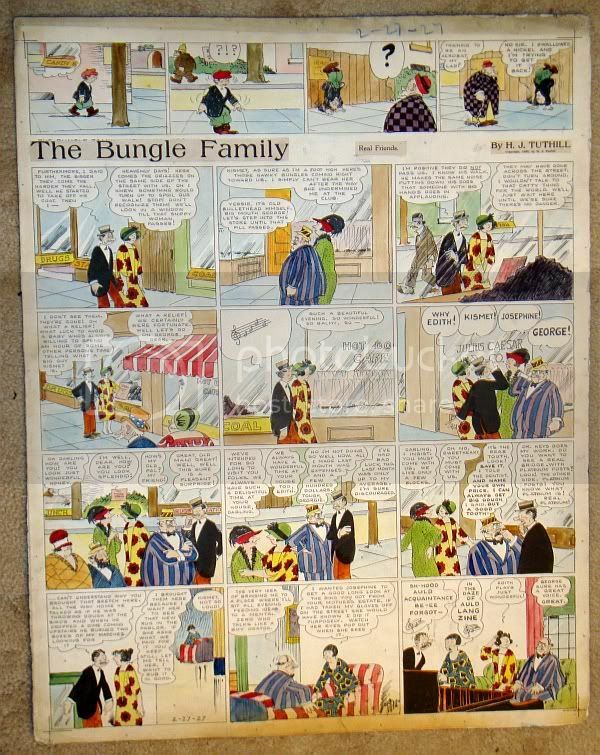 First was a Sunday page of the Bungle Family by Henry Tuthill. The Bungle Family was a strip that ran from 1918 through the 40s that is largely forgotten today. It's a shame that so few know about it--it's a devilishly funny strip, playing with the everyday hypocrisies of the Bungles and their friends in their lower middle class existence. If Gasoline Alley is a strip set in a similar milieu about a group of neighbors who, by and large, love each other, The Bungle Family is its opposite. That may be, I suppose, why people have a warm, nostalgic feeling about Gasoline Alley as opposed to The Bungle Family. That's a shame, because The Bungle Family is brilliant. The beautiful thing is that Tuthill hand-colored this strip. Now as it appeared in the newspapers, the color was done via mechanical separations overlaid on a photostat of the black-and-white art. (I realize that for you younger readers, I just use a bunch of utterly archaic art terms here.) So that means he sent this page--which is huge, 24" x 29"--to his syndicate, who made a stat then sent it back to Tuthill, at which point he painted the original. Presumably he did this purely for his own pleasure, and he did it a lot--every week for six years. His coloring is beautiful, too. I'm very pleased to be able to add this page to my small collection of Bungle family dailies.